The city is a concrete jungle and when there is opportunity to catch your breath within it’s hardscapes most head to the perfectly manicured lots of green spaces to remind us what nature actually looks like, even if it’s shadowed by the neighboring skyscraper. On Friday, September 21st those green spaces are going to pop up all over the globe and KMAC will be a part of it. 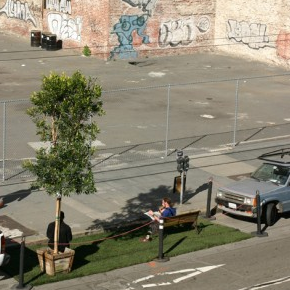 PARK(ing) Day began seven years ago by the design firm Rebar in San Francisco when they converted a single metered parking space into a temporary public park. They saw a need for more urban open spaces and wanted to call attention to it. They paid the two-hour meter of a parking space and “leased” the area in order to set up a public park space. The original PARK(ing) Day. Photo courtesy of parking day.org. Gretchen Milliken and Shelley Vaughn Hulsey will claim the meter in front of KMAC on PARK(ing) Day to install a public park space for passerby’s to enjoy and take a reprieve from the hectic 9 to 5. 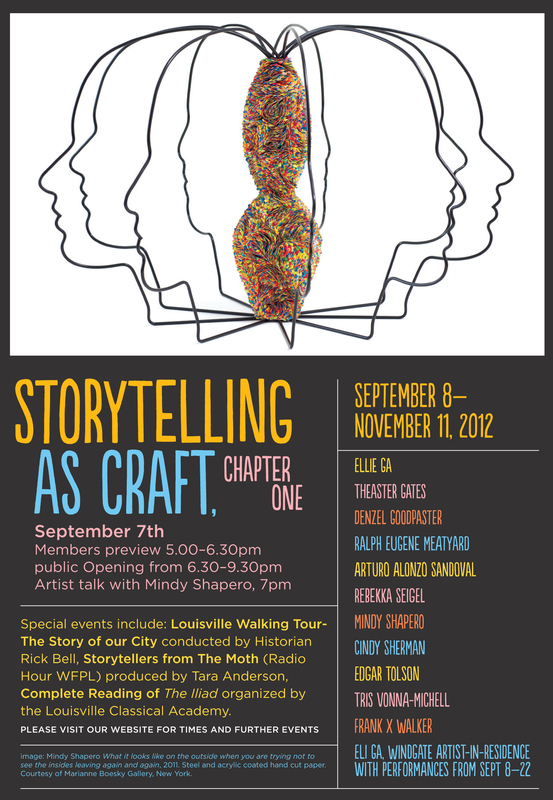 If you come and share a story in the provided space, you’ll be granted (one) free admission to the museum to view and experience the new exhibit Storytelling as Craft: Chapter One. For more information on PARK(ing) Day in Louisville, go to parkingday502.org.